Back at Google I/O, we got our first glimpse of Google Now on Tap. The simple, but very powerful functionality promises to scan your screen for stuff and then deliver valuable information on that stuff such as directions to places, information on movies, and a whole lot more. We’ve got our hands on it so let’s take a quick look! 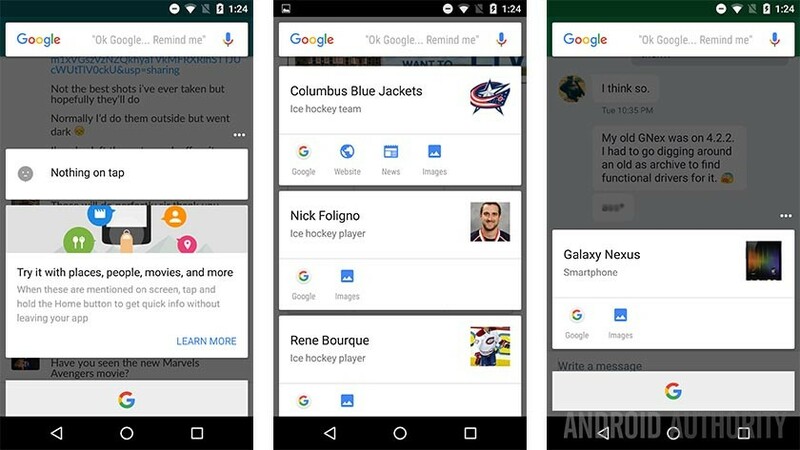 Google Now on Tap is actually very easy to use. To engage it, simply pull up the information you want Now on Tap to analyze and then press and hold the home button. This will bring up Now on Tap which, after a few moments of loading, will display any information it can about whatever it is that’s on your screen in card format. Below that is a Google button that will simply open Google Now. Once the card pops up you have a few options and they’re all listed as icons across the bottom of the card. You can Google it, find images, open Maps, open social media pages, and a lot more. How much information that’s available depends on the subject. Hockey players generally have a Google Search button and images while restaurants will have plenty of other options. It works well most of the time and you can use it inside of applications. During our testing, we used Google Newsstand, Google+, Hangouts, Slack, Google Chrome, and a few others. Now on Tap had no issues parsing the information from each one and delivering results. Results are generally easy to pull up as long as the subject is clearly written. For instance, a friend was talking about his Galaxy Nexus and Google Now was able to pull up a card. However, when Nirave asked about “Marvel’s Avengers”, Now on Tap couldn’t figure out what it was supposed to be searching for. Hilariously, when you go to the IMDb page for The Avengers, Now on Tap has no issues pulling up a card about the movie. We found that there really are a ton of results. We found hockey players, movies, actors, fictional characters, little Chinese restaurants in New York, landmarks from Europe, and a bunch more. There really is a lot more here than we originally envisioned. On the other side of the spectrum, there were things we expected Now on Tap to be able to find easily to no avail. It was able to find the Galaxy Nexus from a text message, but nothing about the Nexus 6P from an article title. Really, your mileage may vary. If you only use it for certain things then cards will almost certainly pop up every time. Pulling up Now on Tap on every page that pops up on your smartphone will likely not work the majority of the time. Google Now on Tap is, for the most part, impressive. Having the ability to instantaneously glean information on whatever happens to be on your screen is both enjoyable and functional. Of course, there are some issues here and there and the service will likely get updated over time to overcome these early flaws. We imagine many of them will be ironed out by the time stable Marshmallow starts making its way around. 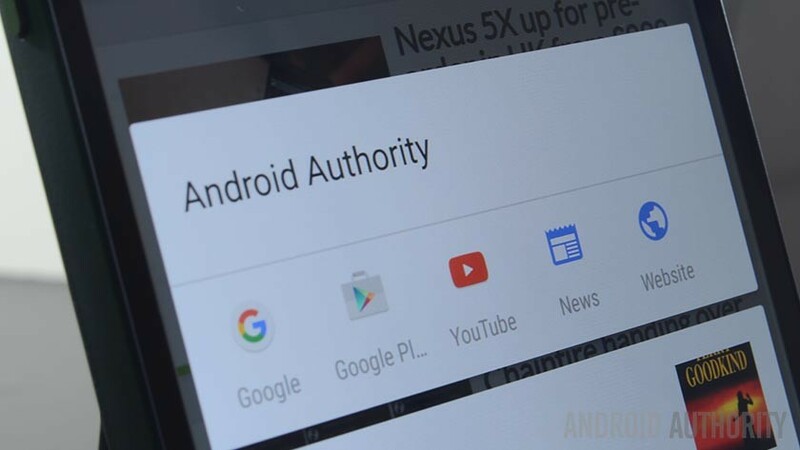 If you’re interested in getting Now on Tap, you’ll need a device running Marshmallow and you’ll need to be updated to the latest version of Google Play Services as well as the latest version of the Google App. It should start working from there. Everyone else will have to wait.